Viva Tropical - Costa Rica has long been famous for having some of the most beautiful beaches in the world. This gorgeous shoreline with great surfing and incredible wildlife has lured expats for decades. Today many beach towns in Costa Rica are well established for those looking to relocate to towns with some of the same comforts of home in a tight-knit community with plenty of nature. 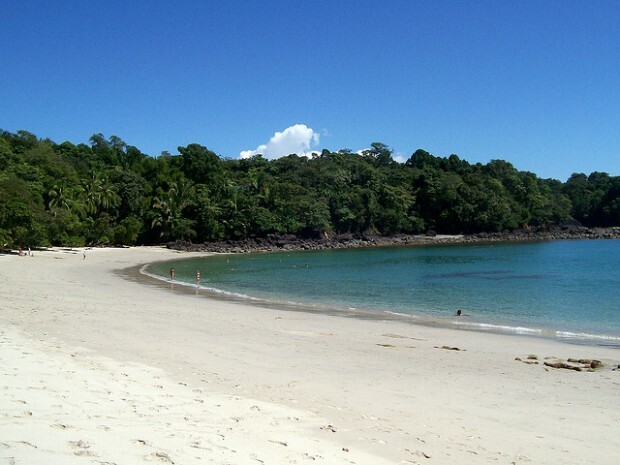 Many cite Playa Samara, on the North Pacific Coast on the Nicoya Peninsula, as their favorite beach town in the entire country. The relaxed fishing village has a strong community feel for locals and tourists alike. The town has many local authentic “sodas (Costa Rican cafes) as well as expat-run sushi bars and Italian restaurants. The horseshoe bay is a great gathering place where fishermen wade into the water then run out with their fresh catch. Groups of people crowd around to admire what they pull out and some purchase it for their lunch or dinner. At more populated spots on the beach locals, expats, and tourists play games of volleyball or take kayaks and stand up paddleboards out into the ocean. 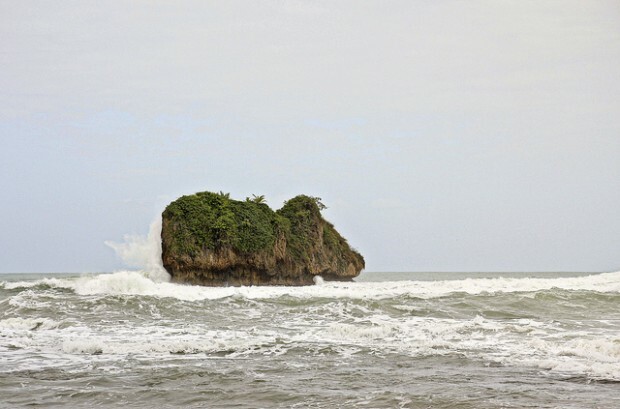 The many nearby beaches are great for hiking and exploration including Playa Carillo known for its crocodile sightings, Playa Buena Vista, and Playa Barrigona where Mel Gibson owns a home. All beaches can be accessed by long walks on the shore around rocky points or on back roads on a bicycle. Slightly further inland are farms with domesticated animals like sheep and cattle which gives the area an authentically Nicoyan cowboy feel. National Geographic named Playa Guiones one of the top surf towns in the entire world and we can see why. Beginners, intermediates, and experts can all enjoy the clean waves here that can be surfed all day long. Nearby beaches also offer a variety of breaks for those looking to really challenge themselves. Surf schools are everywhere as well as surf camps for kids. In addition to having some of the most versatile and consistent surf in all of Costa Rica, it also has a well established expat scene. One of the first yoga studios in Costa Rica is in Playa Guiones, the Nosara Yoga Institute, which has led to the opening of many yoga studios and retreat centers. There is also pilates, kickboxing, massage, horseback riding, stand up paddleboarding, and many more physical activities. It is a great place for families as there are tons of activities for kids as well. Surf camps, horseback riding clubs, ballet, and gymnastics are just a few. There are also two reputable international schools that ensure quality education for children of all ages. The dedication to health also makes Playa Guiones a great place for health-conscious individuals and families. The town boasts an organic grocery store, farmers market, and a few organic healthy cafes. Playa Cocles on the South Caribbean coast hosts stunning beaches, tons of wilderness, and tons of local and international culture. This neighborhood is most famous for its barreling waves at Beach Break and close proximity to Puerto Viejo just a couple of miles away, but it’s quickly becoming a yoga and health hotspot as well. The neighborhood houses locals and expats from North America, Canada, Europe, Australia, and South America giving it great international appeal in a very undeveloped town. The community here is infectious with a weekly farmer’s market, community garden project, community dinners, and events at Om Yoga. About a century ago Caribbean islanders came to this part of Costa Rica, which lends a fascinating local culture to the area. Traditional Costa Rican rice and beans are steamed in coconut milk, reggae plays in the streets, and coconut curry with lobster is sold from big pots on the beach. Many families are multicultural with European, Jamaican, and Latin roots and locals often speak English, Jamaican Patois, and Spanish. Unlike many Pacific Coast beaches, the water in Playa Cocles and nearby beaches, many named some of the most beautiful in the world like Manzanillo and Punta Uva, is turquoise and warm. Beach break can fill up on the weekends and for surf competitions, but a short walk away and you will find yourself in completely undeveloped deserted wilderness beaches. 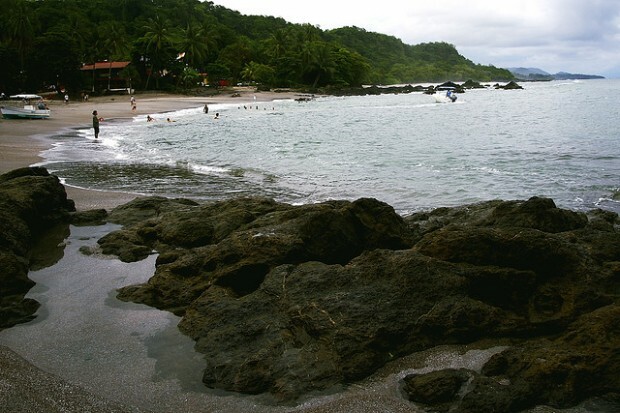 Though it has become a popular tourist destination, Montezuma manages to maintain the laid-back hippie roots that made it popular in the first place. Health and environmentally conscious expats comprise most of the transplants in Montezuma and this is clear by the businesses that thrive here. Several yoga studios sit in town and on the beach and it’s even possible to take free community yoga classes several times a week. The landscape in Montezuma is quite unique to many beach towns in Costa Rica with beautiful rocky cliffs to climb to secluded beaches, natural tide pools, and great surfing for beginners. There are also two waterfalls within walking distance of town. Manuel Antonio is arguably one of the most popular destinations in all of Costa Rica. The beaches and national park are stunning, outdoor activities like snorkeling, parasailing, fishing, and whale watching make it a desirable vacation destination. However, it’s also a great place for expats to live. The popularity of the area makes it a solid place for investing in tourism. Hotels, vacation rentals, and restaurants receive relatively consistent business year-round unlike many other beach towns in the country that tend to clear out in the low season. There are many local hotspots where it’s possible to meet expats like Emilio’s cafe and Agua Azul overlooking the ocean. Because of the tourism industry nearly everyone in the area speaks English and most restaurants cater to North Americans. This can make for a much easier transition for those with hesitations about moving abroad. These beach towns offer some of the most accessible expat communities in the country and are a great place to consider if you have dreams of relocating to Costa Rica. Where to Stay in Puerto Viejo, Costa Rica?